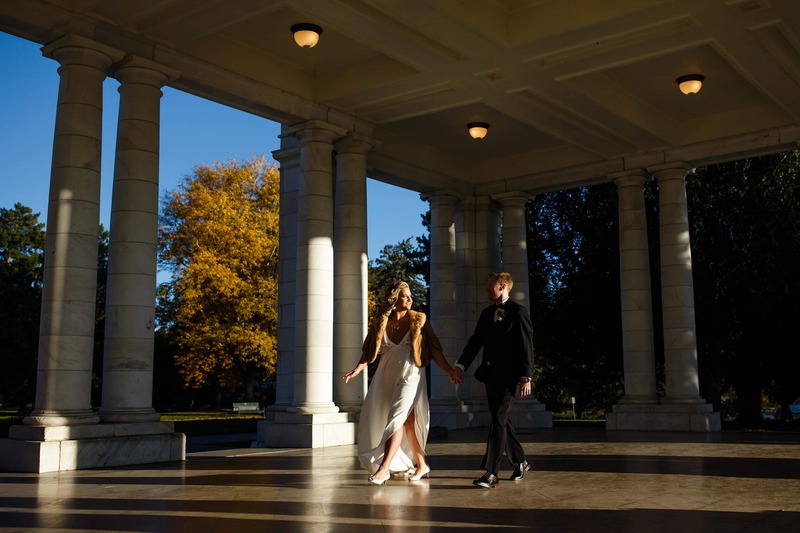 The Pavillion at Cheesman Park is an inexpensive outdoor wedding venue in central Denver that features marble columns and mountain views. The Pavillion at Cheesman Park is a simple and elegant wedding venue available for rent through the City of Denver Parks Department. It’s in the heart of the city between the capitol hill and congress park neighborhoods. The historic landmark is a great example of neoclassical architecture within the city. Since this is located in a public park, private security is recommended so you can maintain an intimate ceremony. The light inside this space is gorgeous because it bounces off all of the white marble. The Denver Botanic Gardens is close by which is a great reception venue.